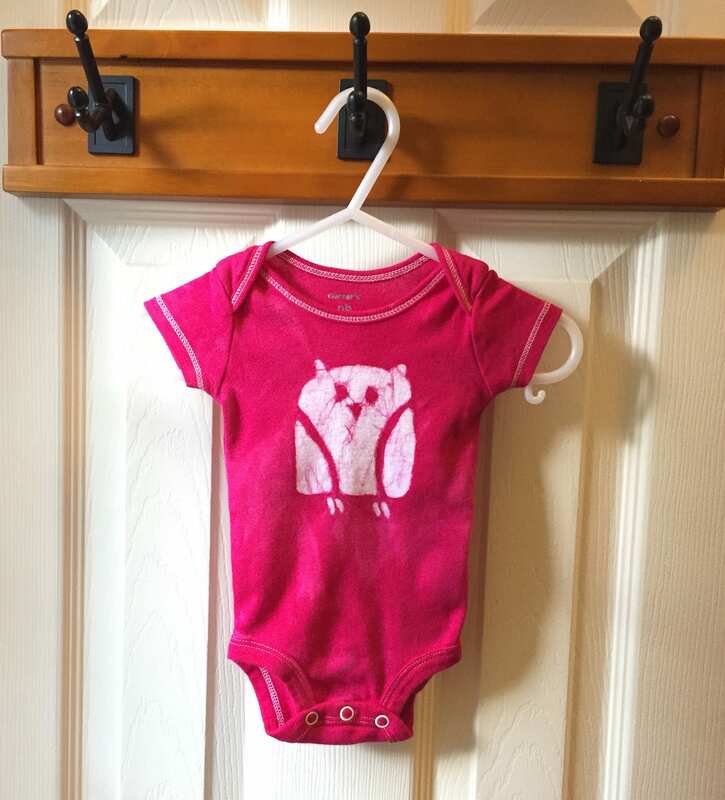 This tiny baby bodysuit is for the newest of the new: Newborns! 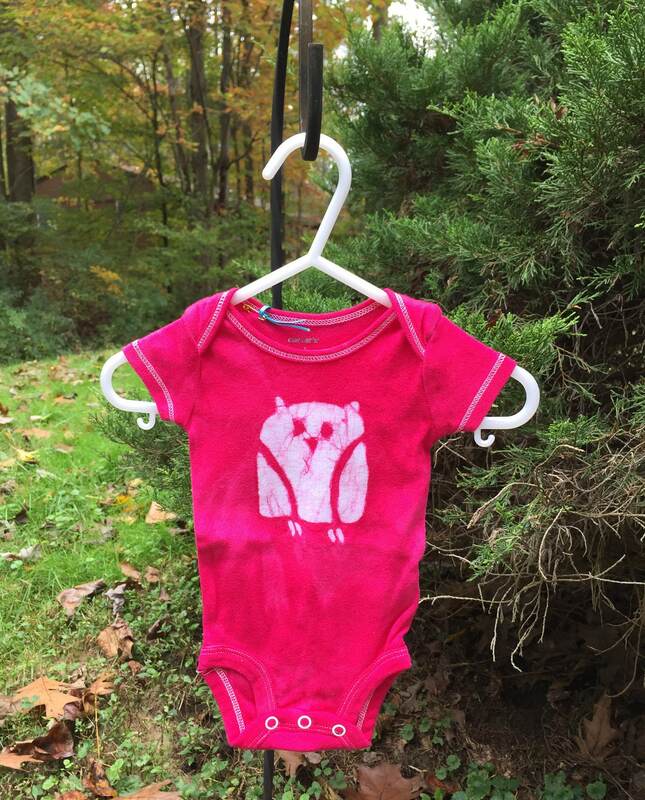 Perfect for brand-new babies and preemie babies, I stenciled my wise owl onto the chest of a newborn size Carter's brand bodysuit. 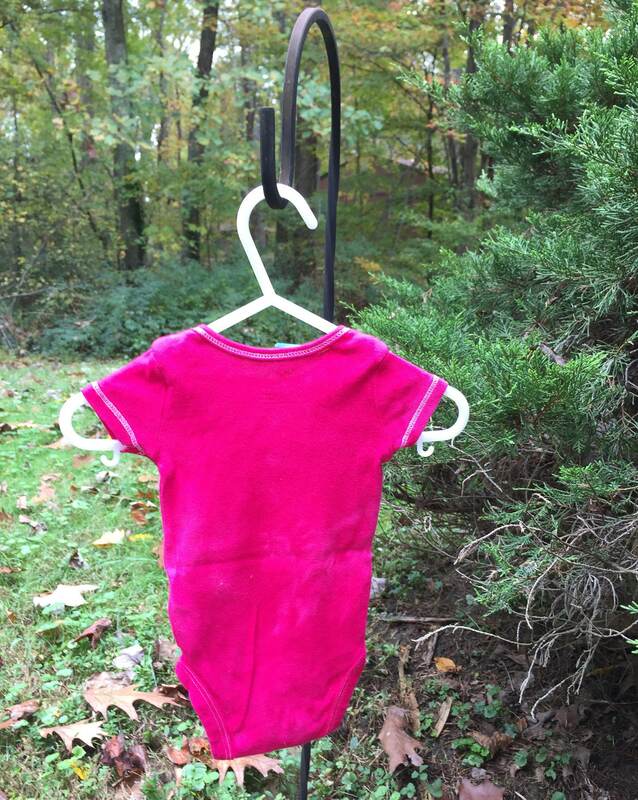 I dyed the garment bold fuchsia pink. 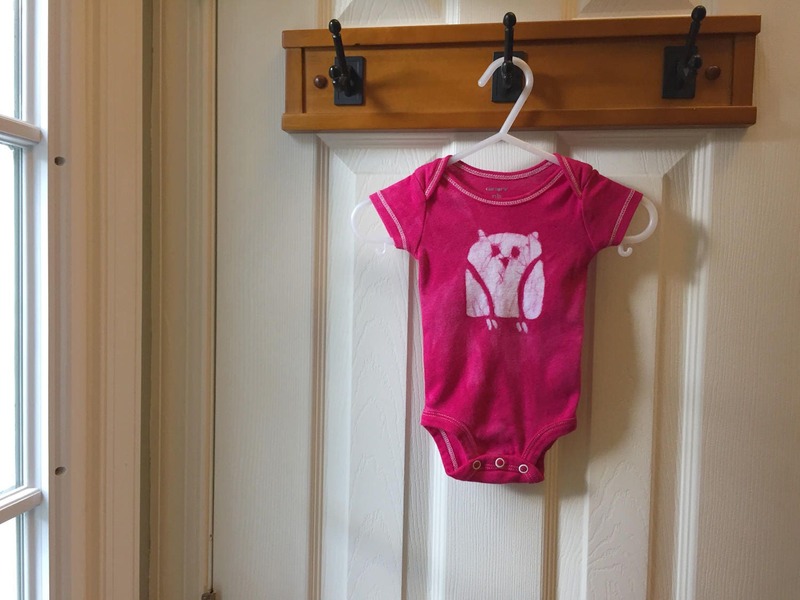 Short sleeves, 100 percent cotton.